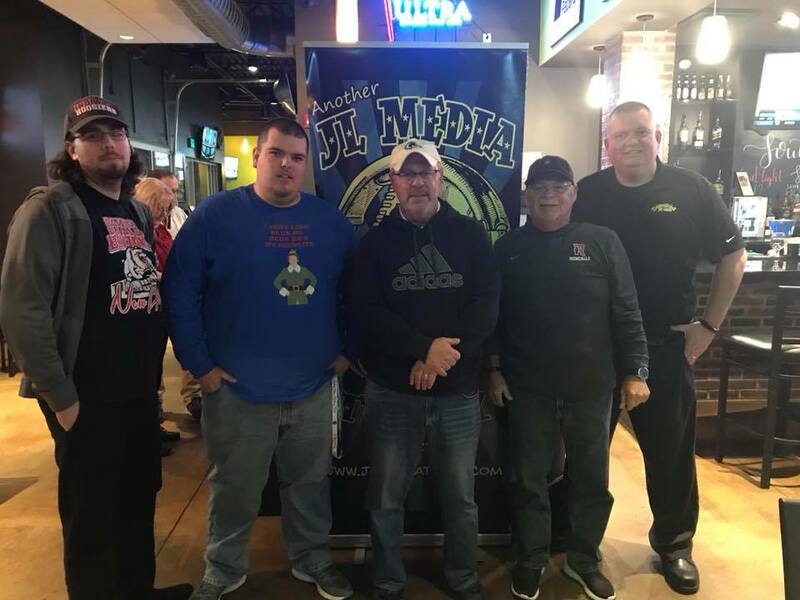 All Indiana sports, from the guys in the know. 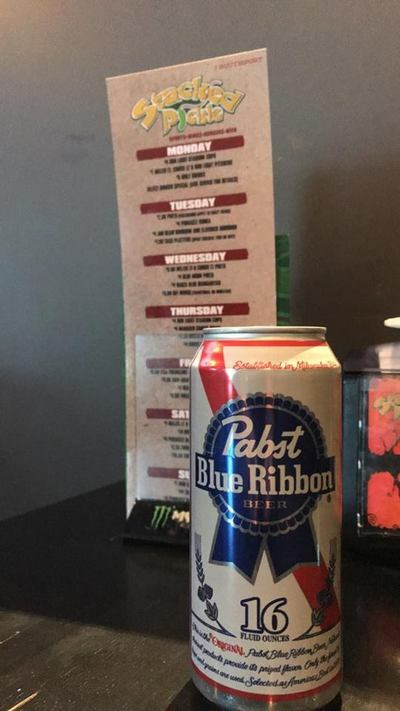 It all begins somewhere and this is where we begin. The folks at Blue HQ Media are stepping out from behind their desks and hitting the sports bars. 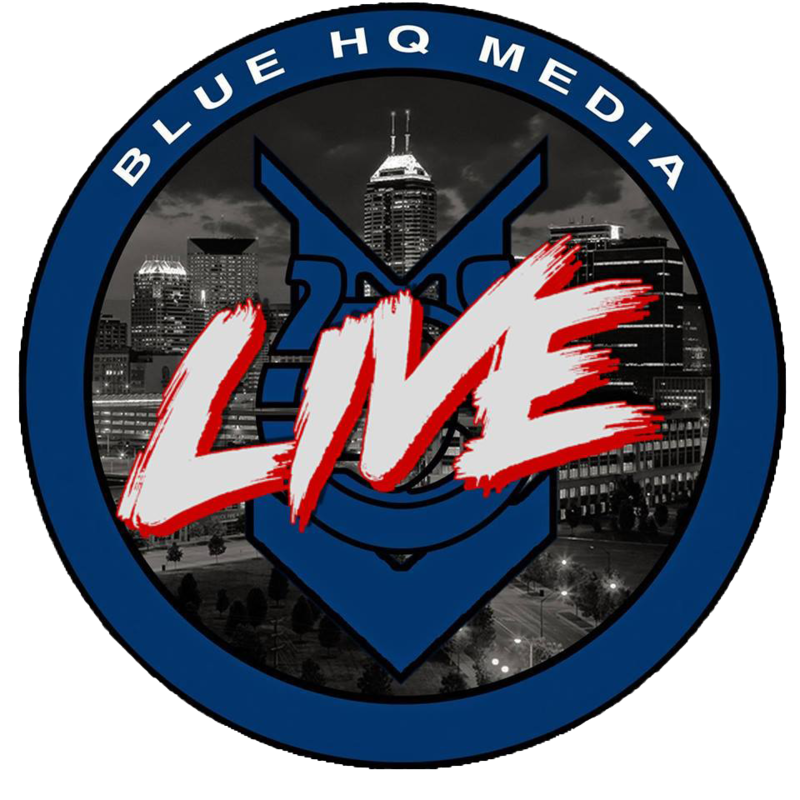 That's right, Blue HQ Media has gone LIVE. 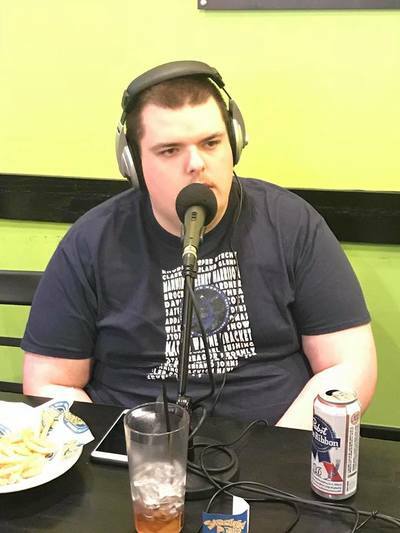 This is, quite simply, our first endeavour at this new format. 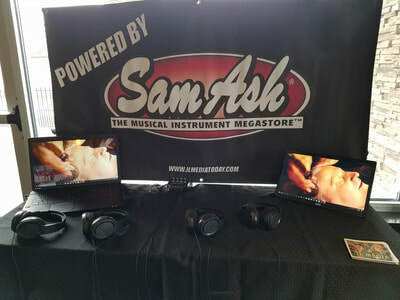 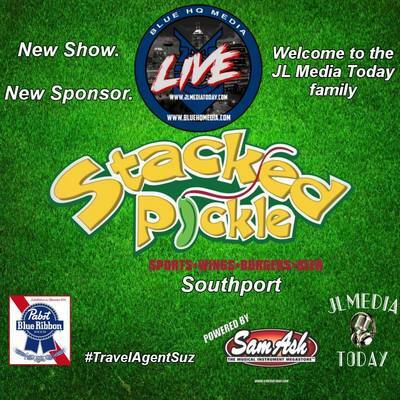 We are very excited to grow the show. 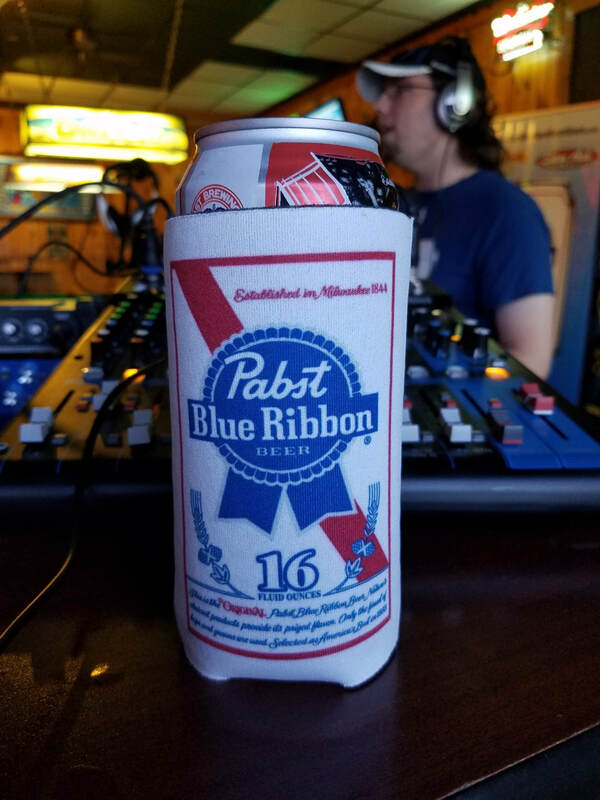 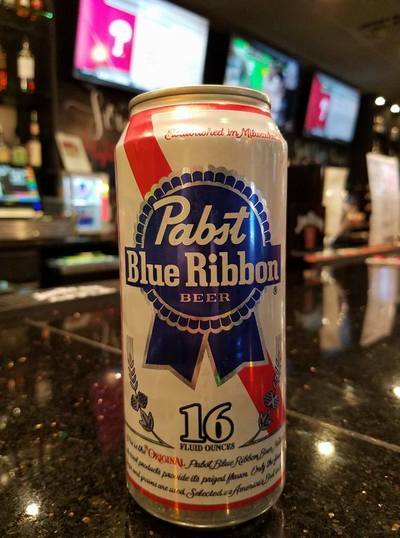 Special thanks to the ﻿86th Street Pub﻿ for hosting the episode and to PBR and Not Your Father's, the official beers of the show. 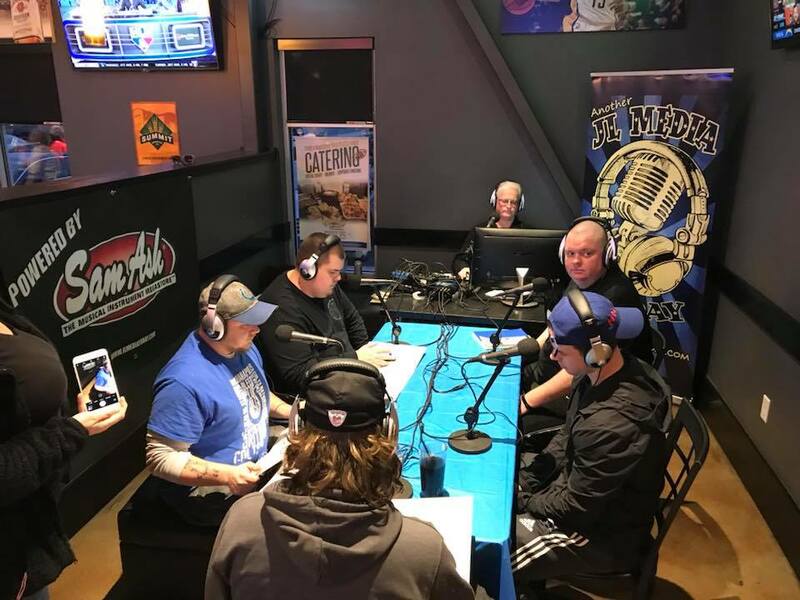 The boys from Blue HQ Media, Dalton, Tony and Derek, were excited for the first sponsored episode of Blue HQ Media LIVE. 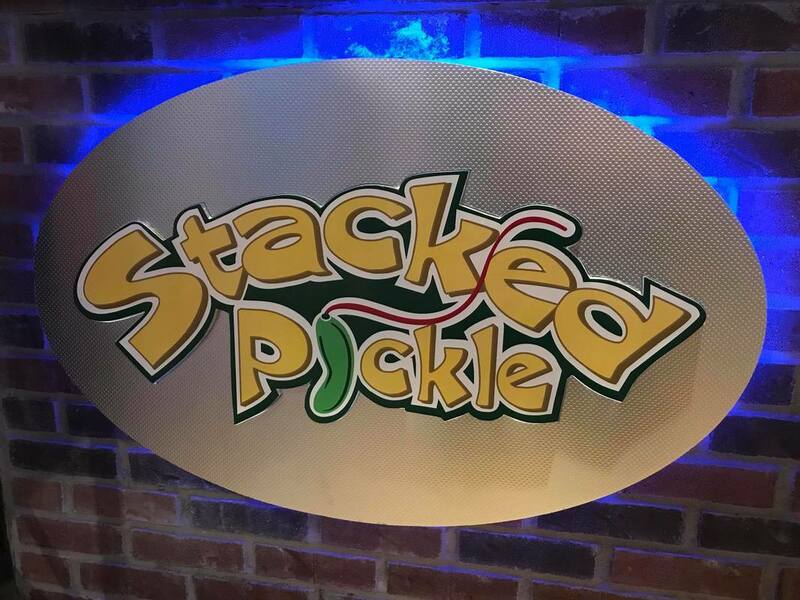 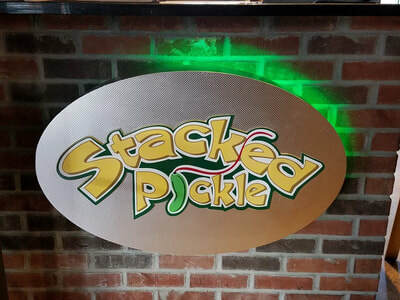 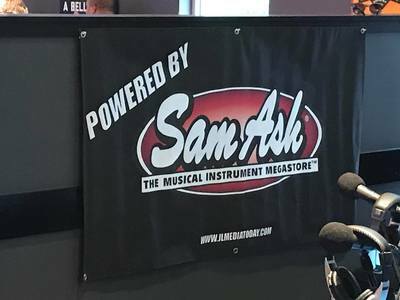 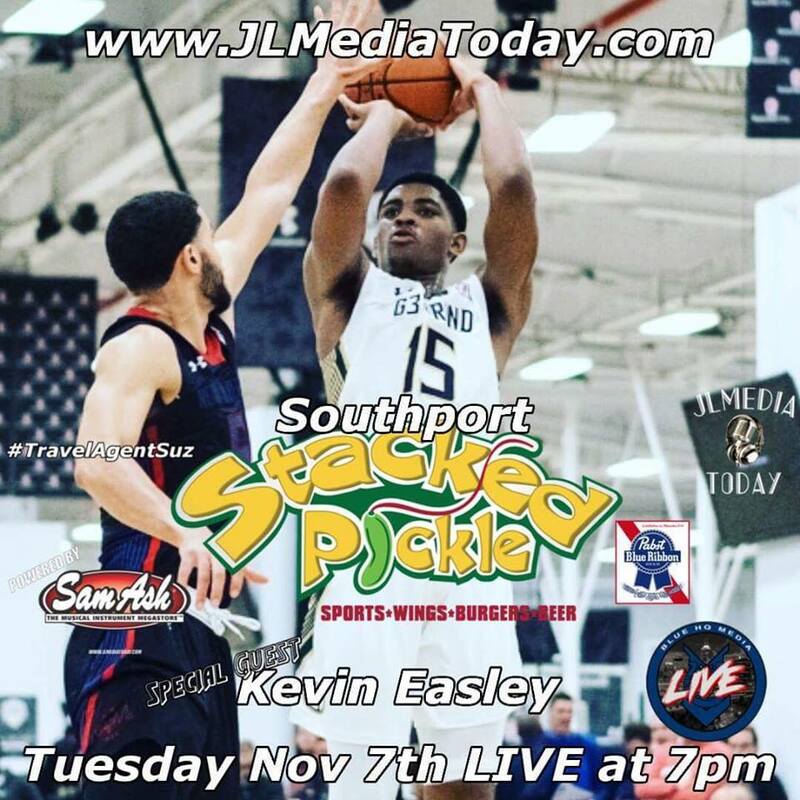 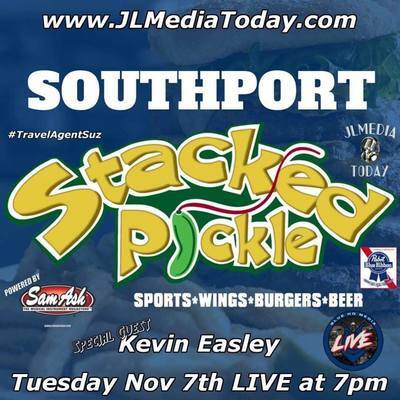 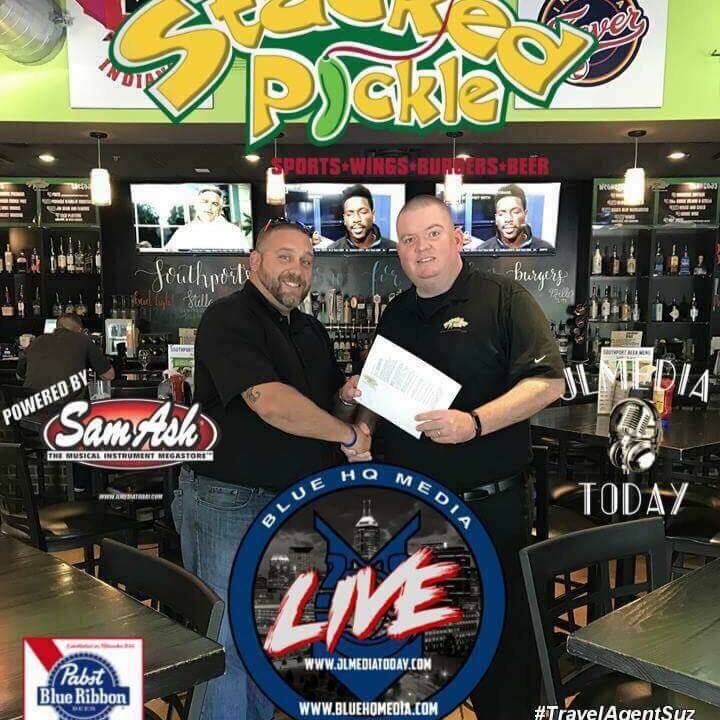 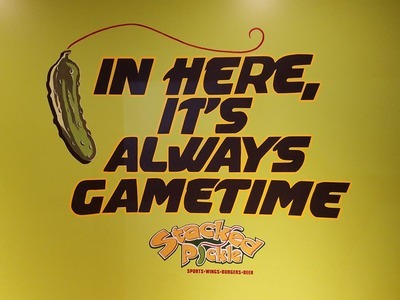 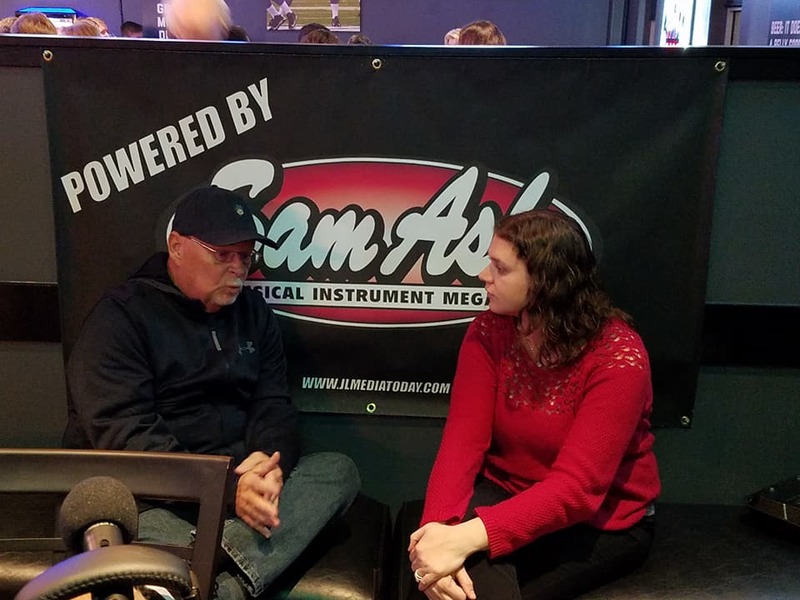 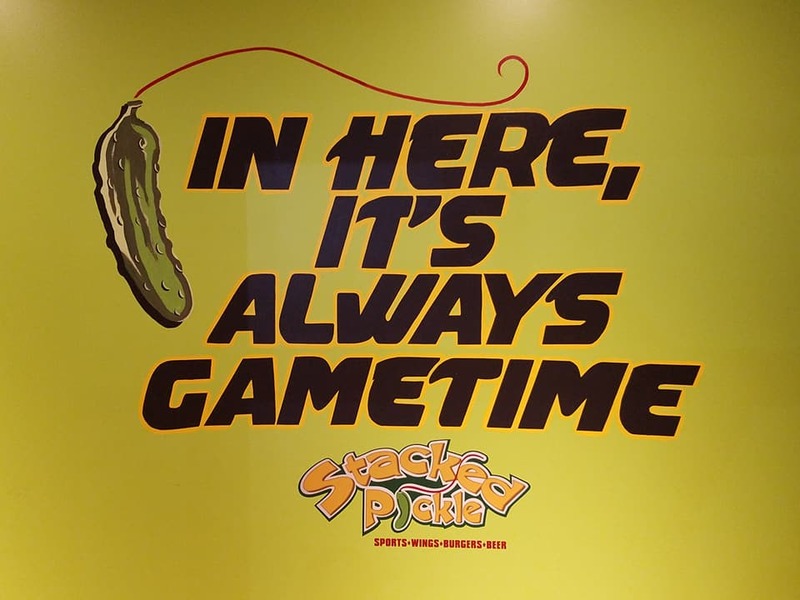 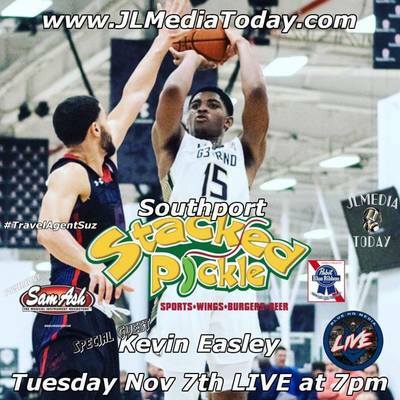 The show was picked up by the Southport Stacked Pickle and will broadcast LIVE every other Tuesday om location at 7pm. 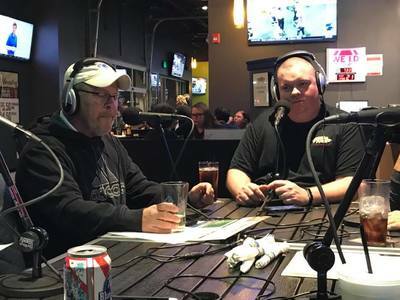 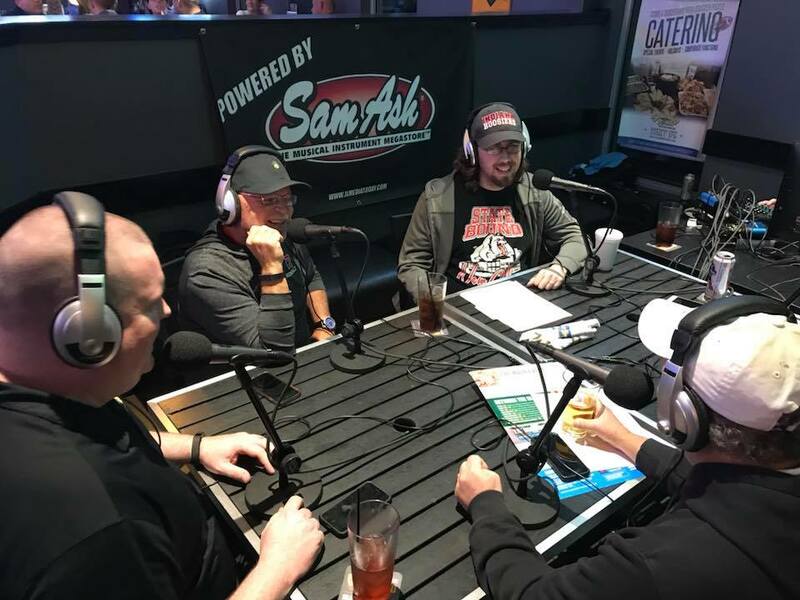 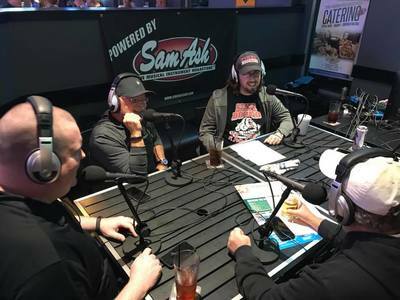 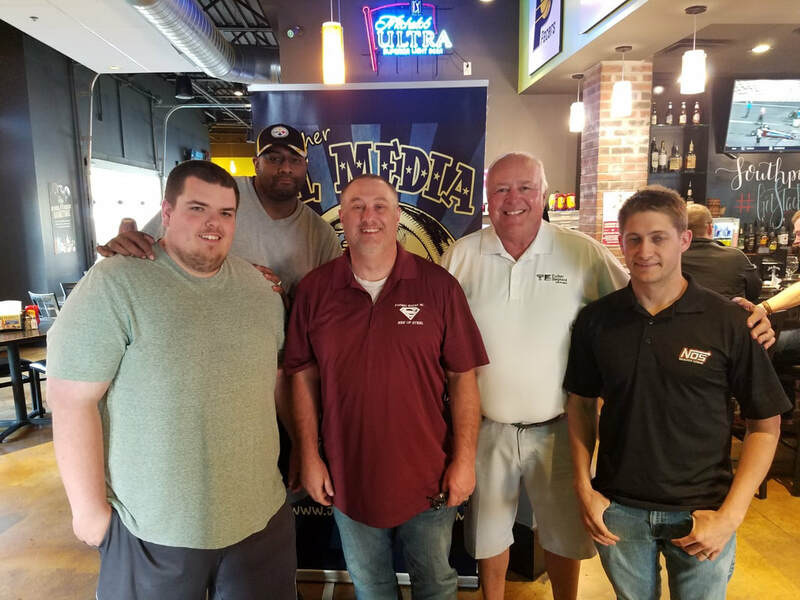 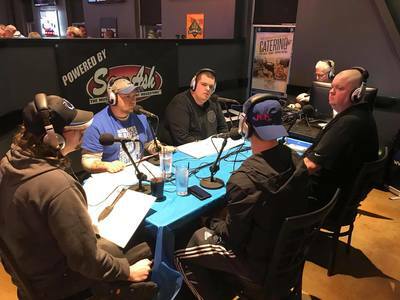 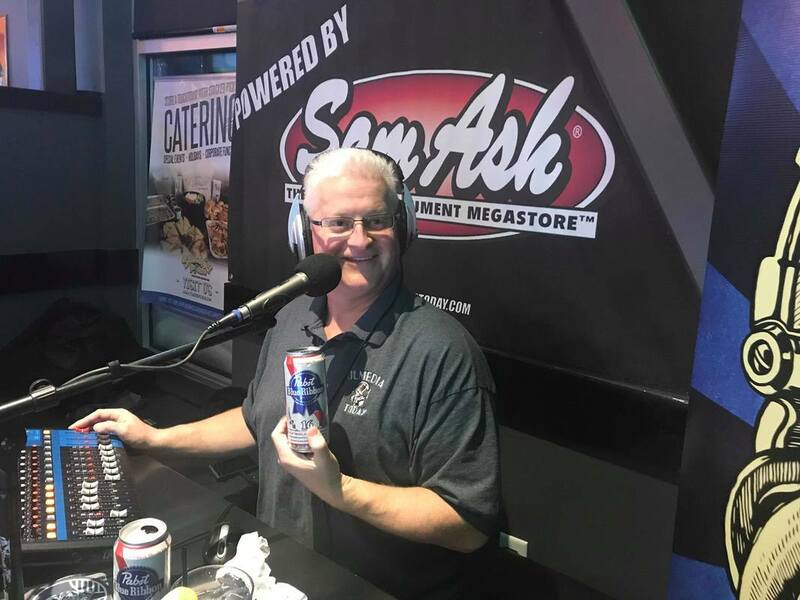 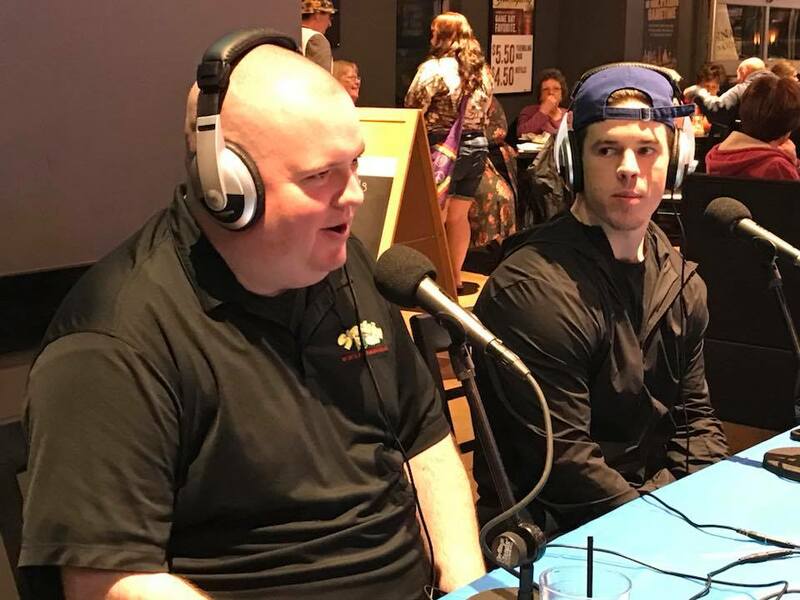 They will be joined by Mike Earnest, GM of the Southport Stacked Pickle, and different guests each week from someone in the Indiana / Mid West sports world. 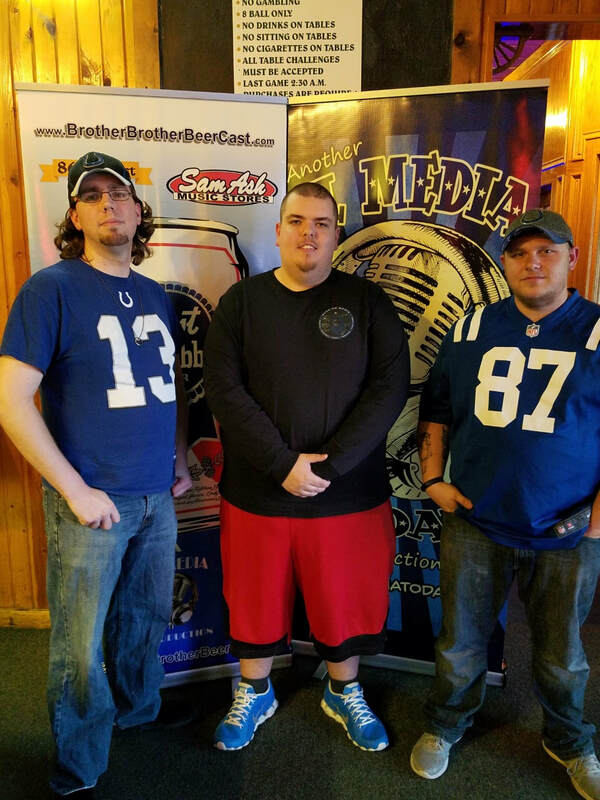 This episode they were joined by Dalton Crossan. An Indianapolis Colts running back who was injured at the start of the season. 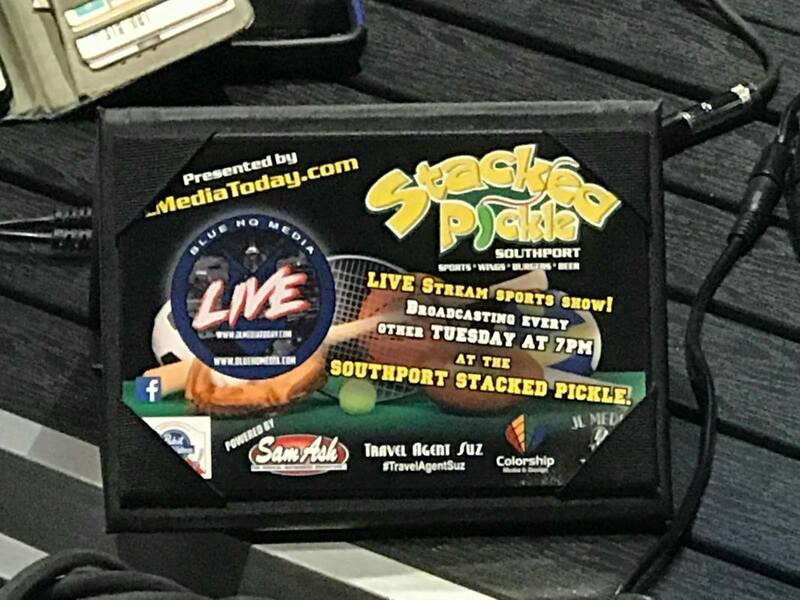 Coming at you LIVE from the Southport Stacked Pickle, Dalton Tinklenberg and Derek L. Hutton of Blue HQ Media out did themselves once again. Joined by "Cloney Dundgy" Mike Bostic and The Voiceover King Artie Widgery we sit down with an up and coming hoops superstar, Kevin Easley. 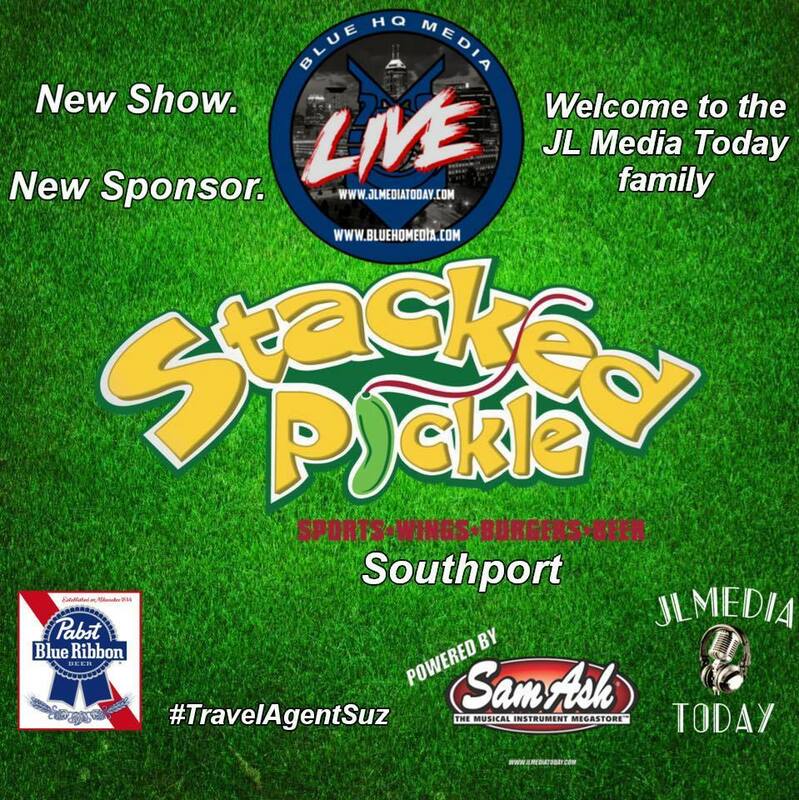 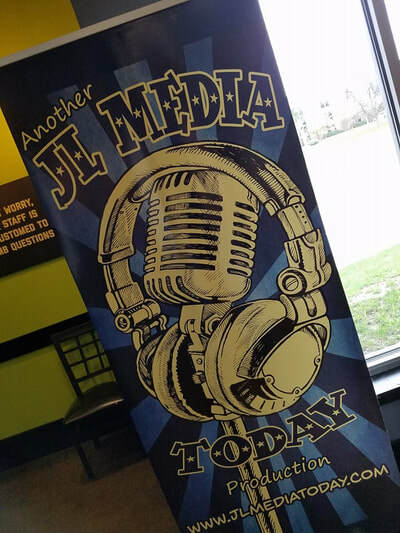 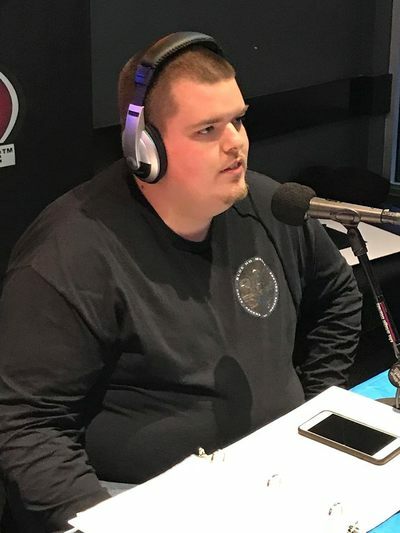 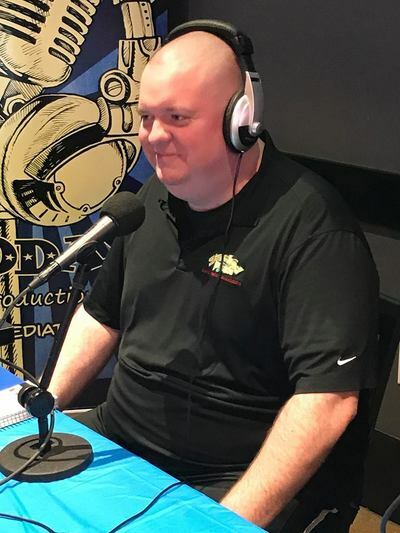 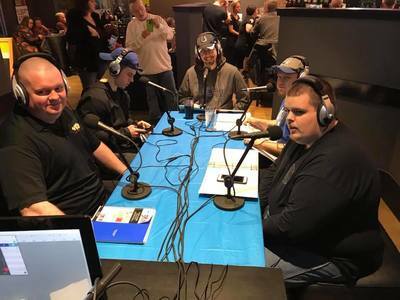 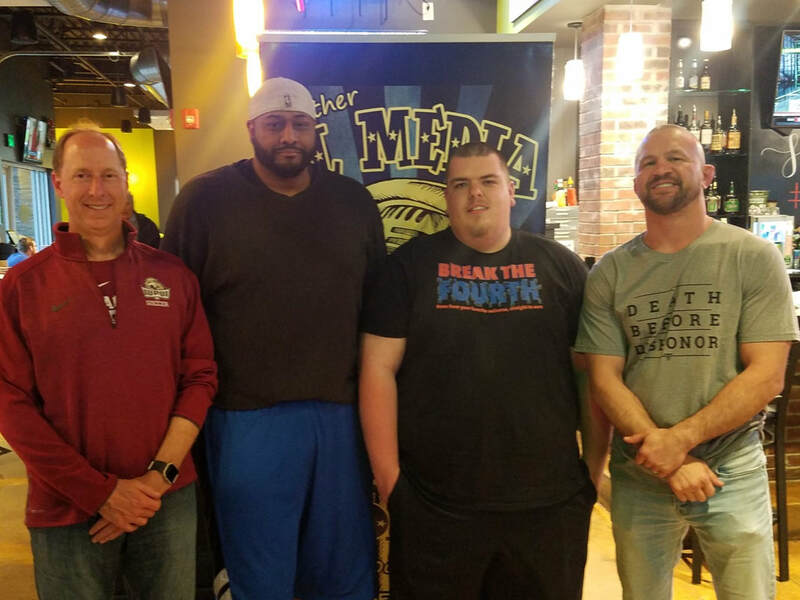 Joining Dalton and Derek, our hosts from Blue HQ Media, we have Southport Stacked Pickle GM Mike Earnest, Mark Pieper, of the Blind Side Band and Scenic Fire Band, discussing the Friends of Jaclyn Foundation. Also the legendary Bob Kravitz. 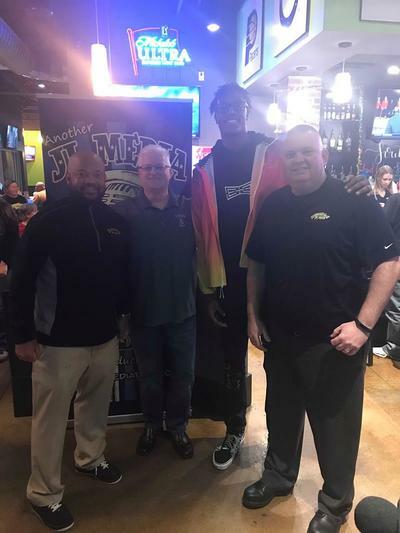 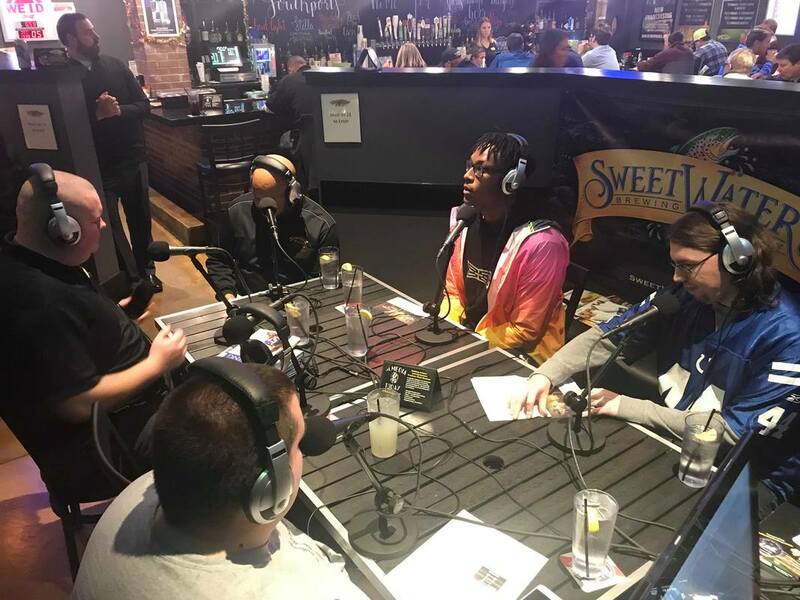 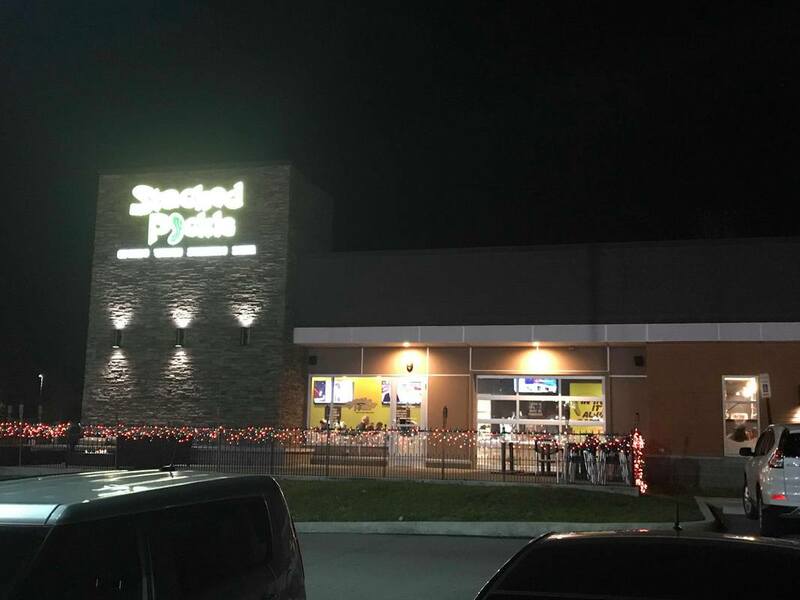 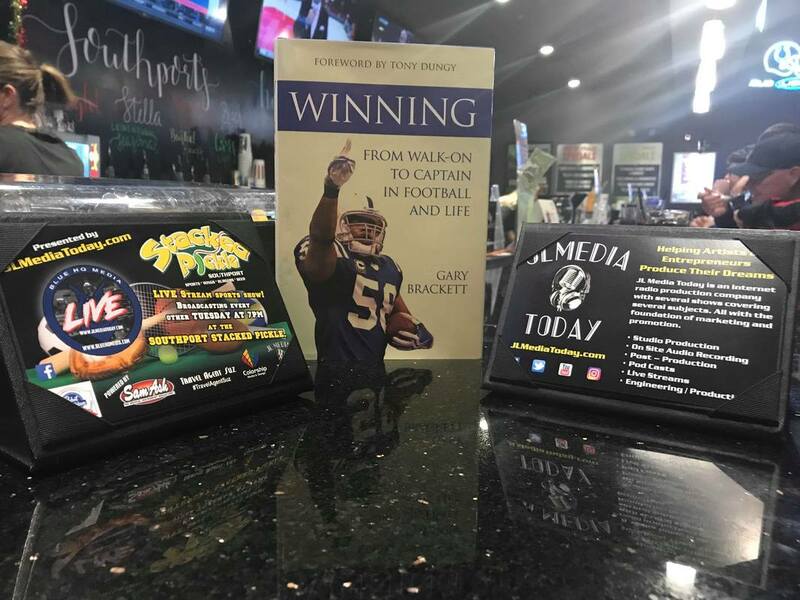 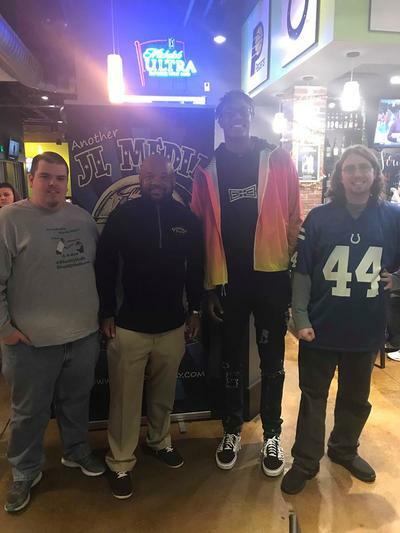 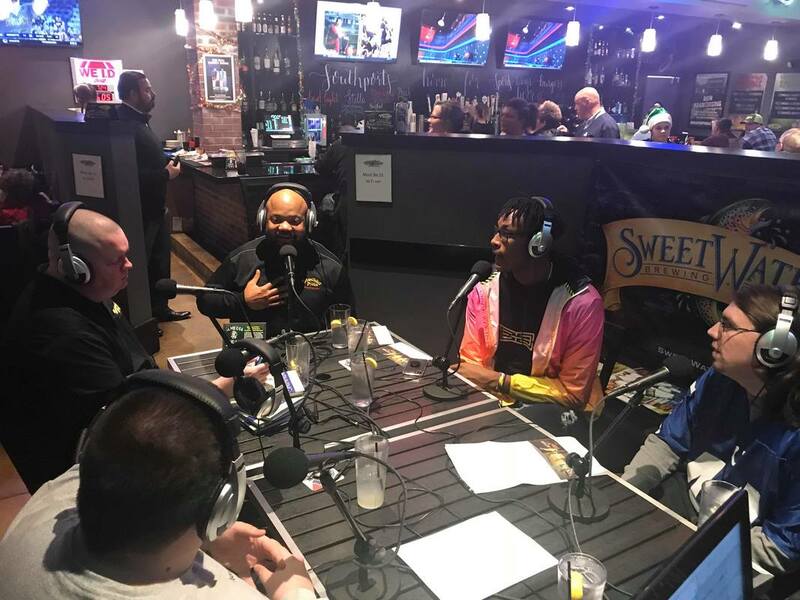 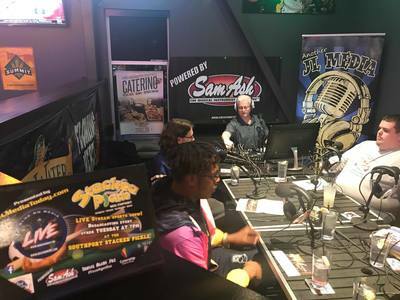 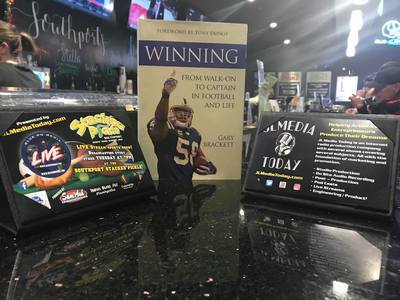 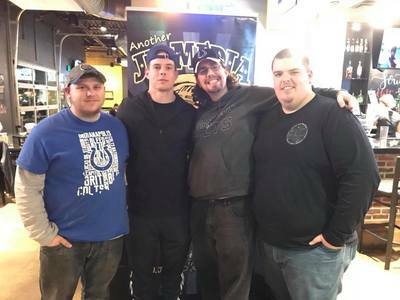 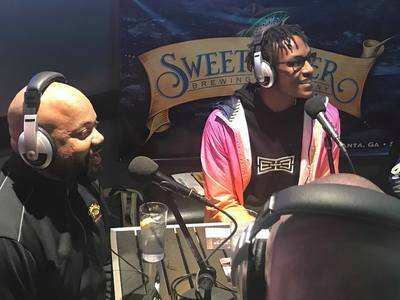 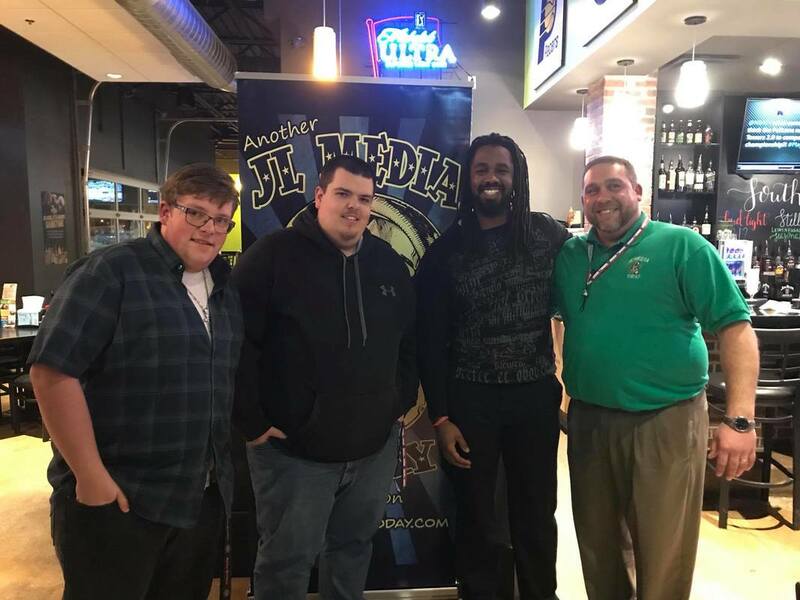 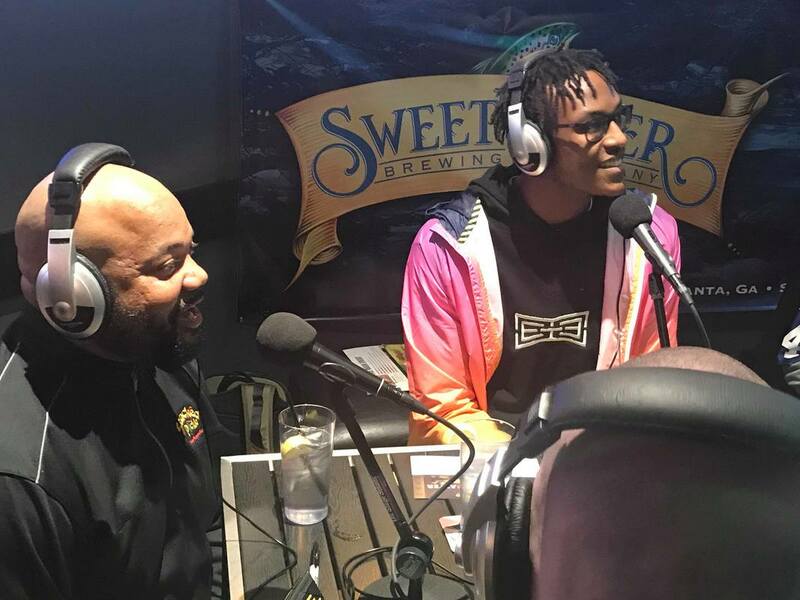 Greg Schiano, WARM, Lance Stephenson and an exclusive about the movie deal - Myles Turner and Gary Brackett join the guys to discuss all of this and much more on the fourth episode of Blue HQ Media LIVE from the Southport Stacked Pickle. 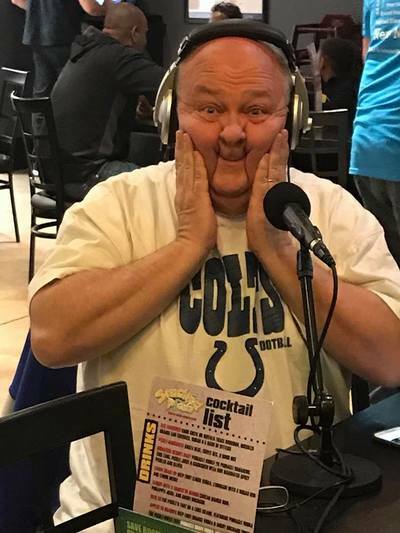 Kevin Bowen was the last guest on Blue HQ Media LIVE for 2017. 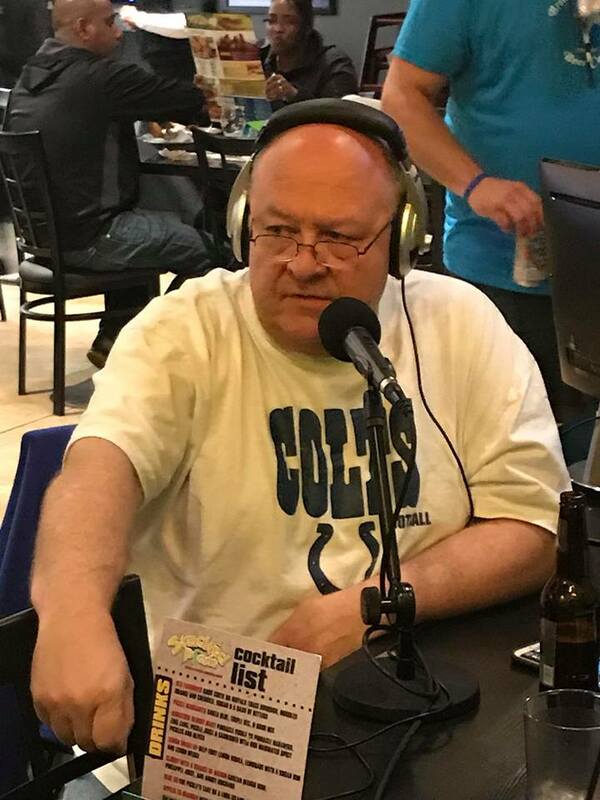 And what a guest he was. 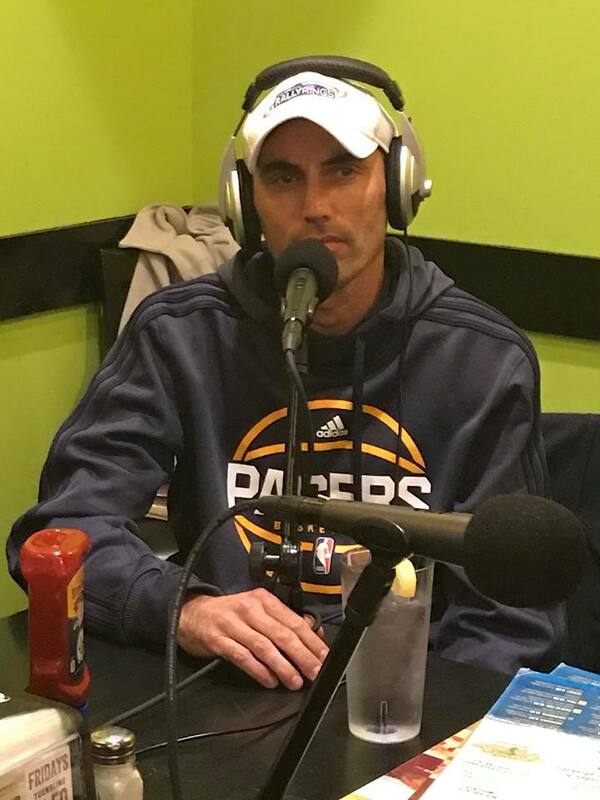 Schooled on both the Hoosiers and the Pacers. ​Special thanks to the Southport Stacked Pickle. 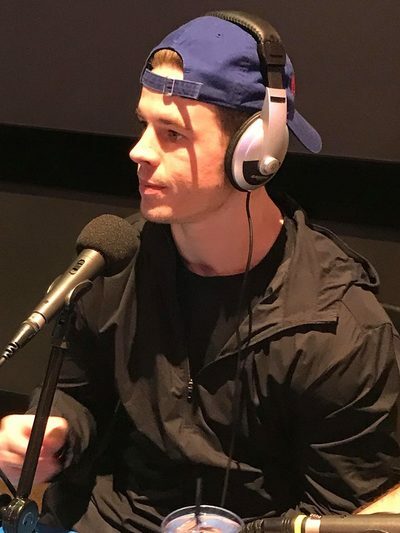 Joining us tonight to talk about the ins and outs of the daily game and his trade to the Indy Fuel. 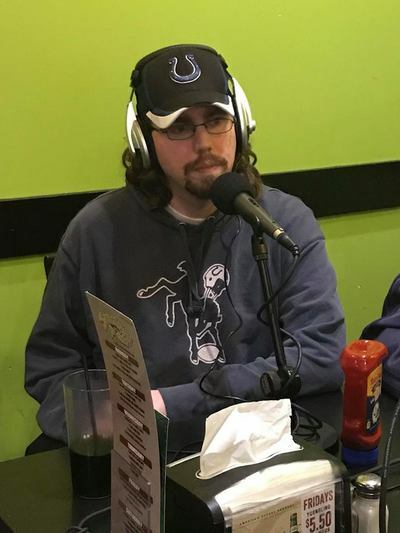 Was Zack Miskovic. 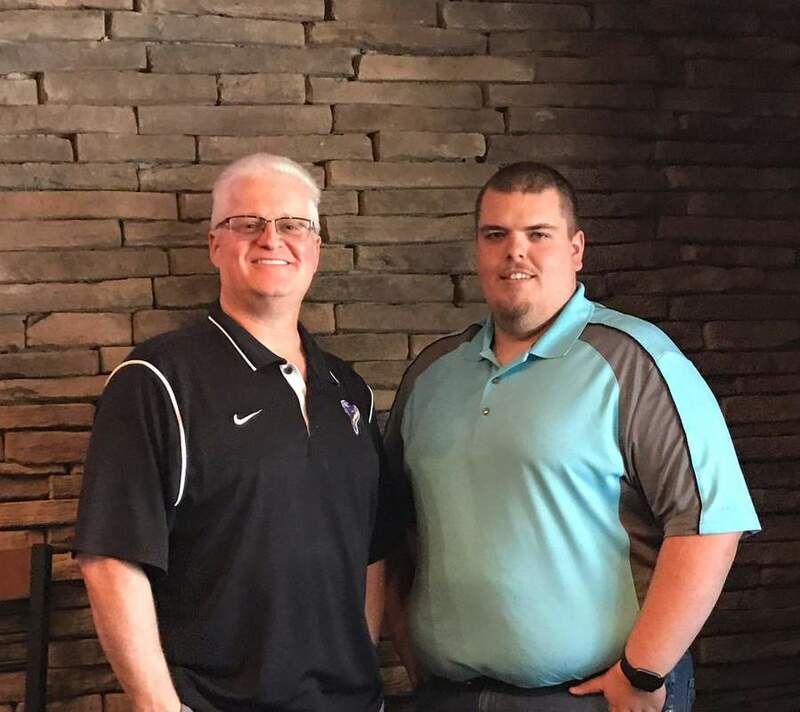 Dalton even had him coaching in small town Indiana. 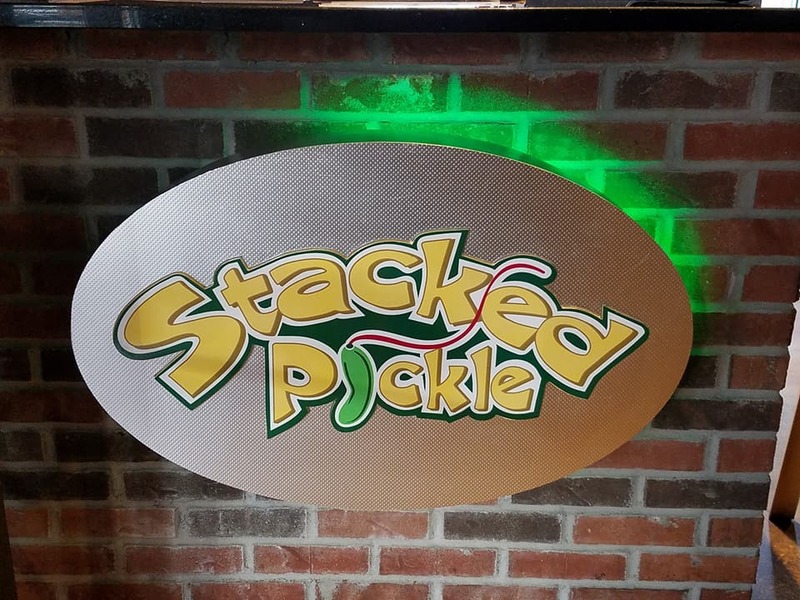 Special thanks to the Southport Stacked Pickle. 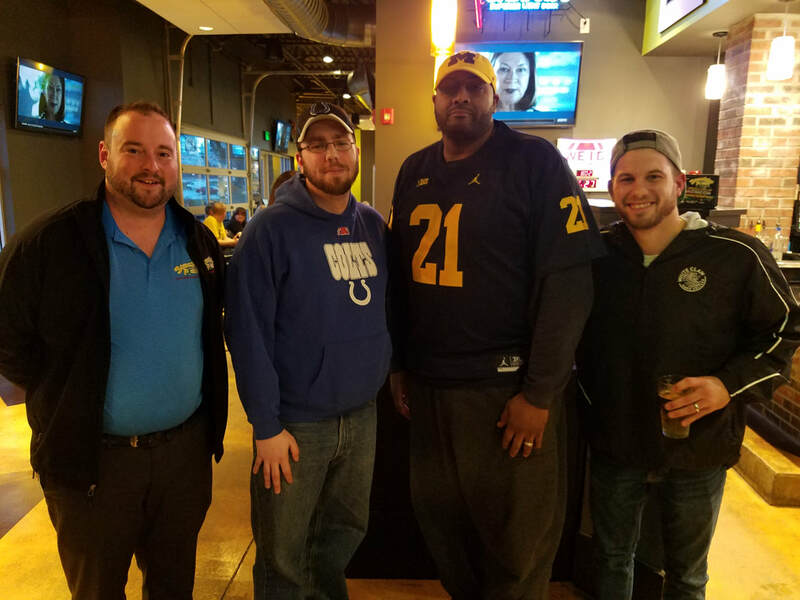 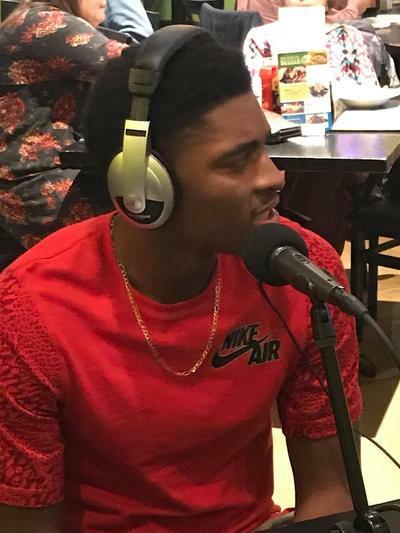 Missing out on his night with Goodie Rides, Anthony Heygood sat down with the guys to talk about some Football. Sitting with an Eagles Super Fan didn't sway his opinion to much. 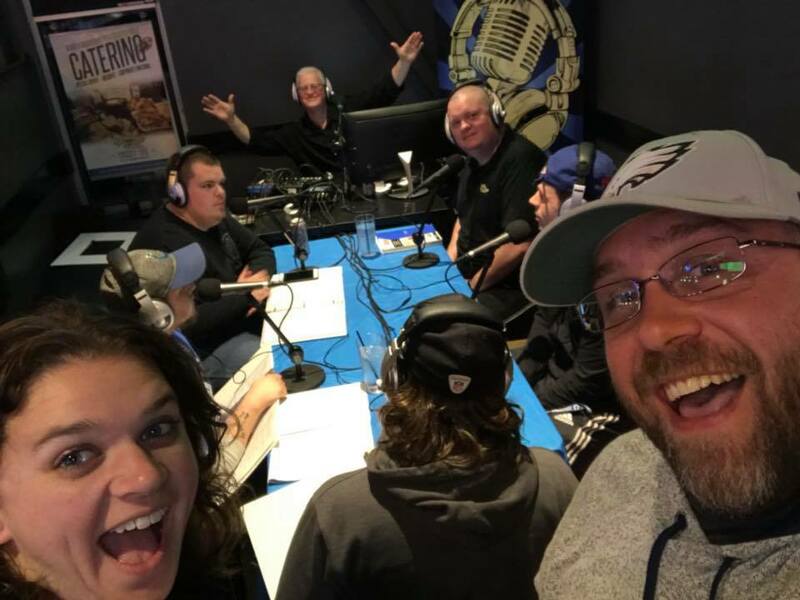 We have Dakota and Derek fill in when we had a last minute cancellation. Dalton , Mark and Derek were joined by Friends of Jaclyn, Tony and Stacked Pickle GM, Mike for a discussion on baseball and Friends of Jaclyn. 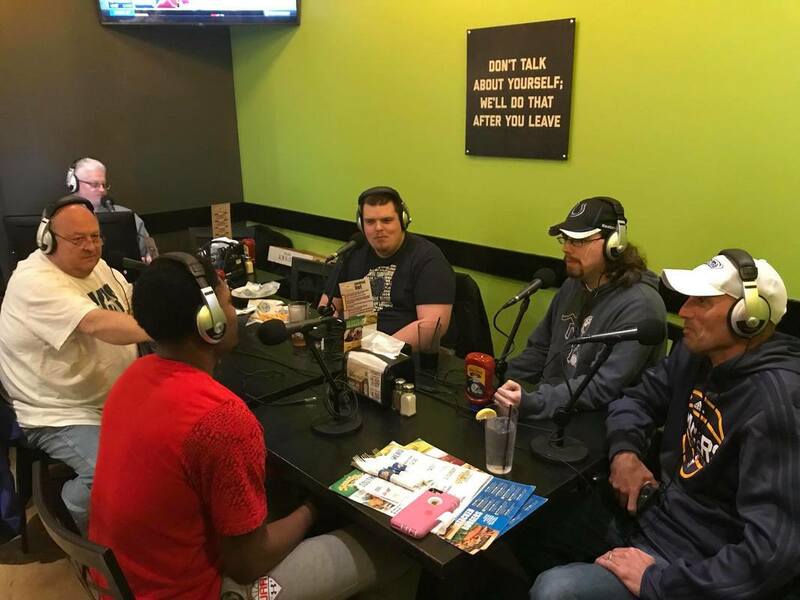 Aaron Kroll joins the guys this week to talk Roncalli Baseball. 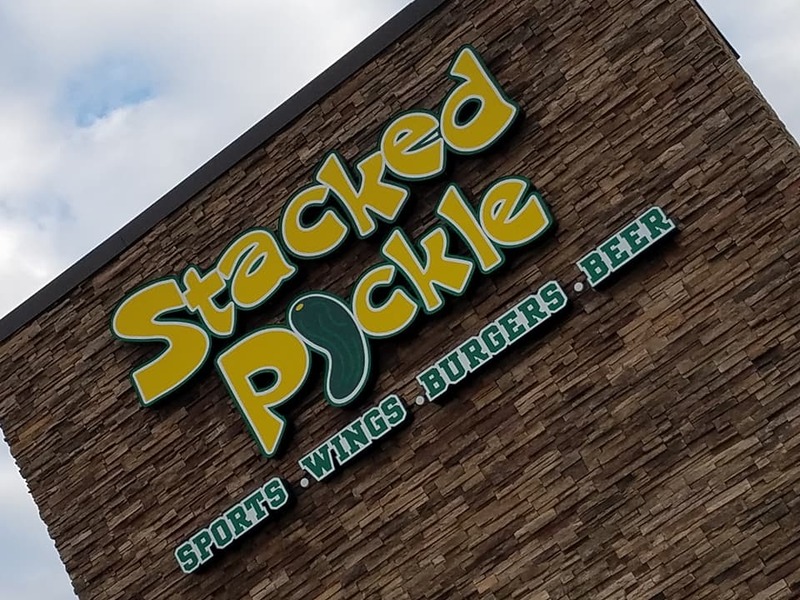 With a few twists. Aaron is joined by Mark Pieper, Derek L. Hutton and Dalton Tinklenberg. 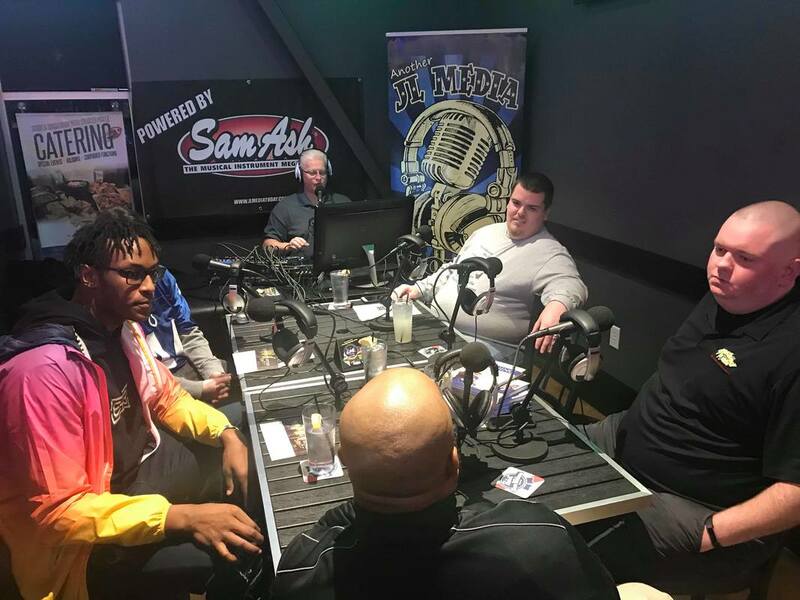 Dalton and Derek were joined by Dan and Damon Thomas...whew. 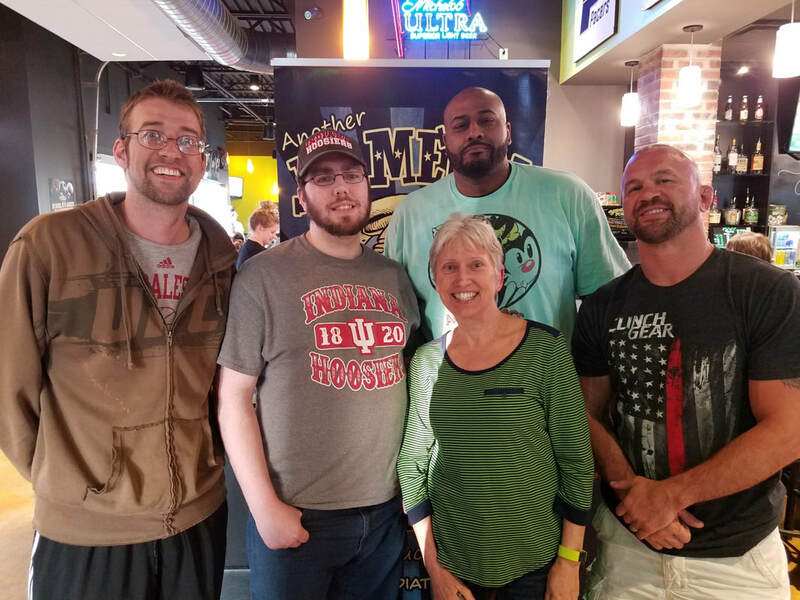 What a crew. Trades and drafts were discussed, as well as the chicken wings. 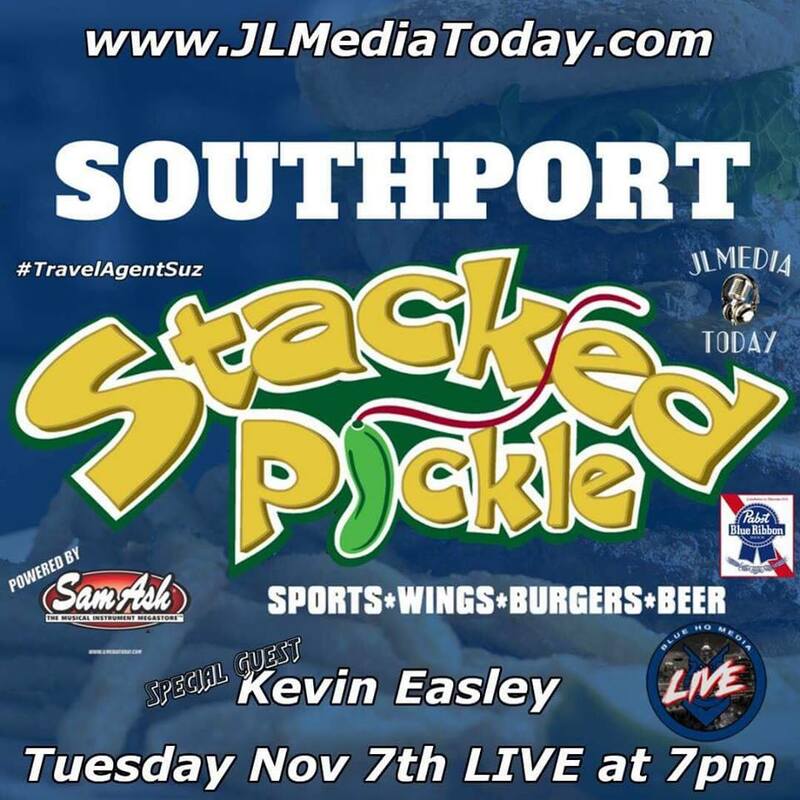 The Southport Stacked Pickle is where it happened, and where we gave the People's Manager, Mike Earnest a hard time. Derek was joined by Damon Thomas and Zack Corpe for this episode of Blue HQ Media LIVE. 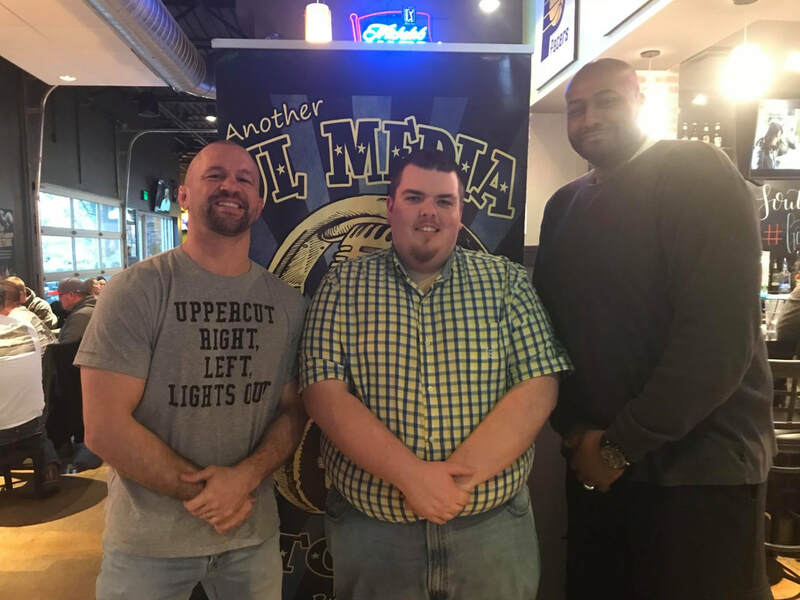 Chris Lytle joins Dalton and Damon this week. 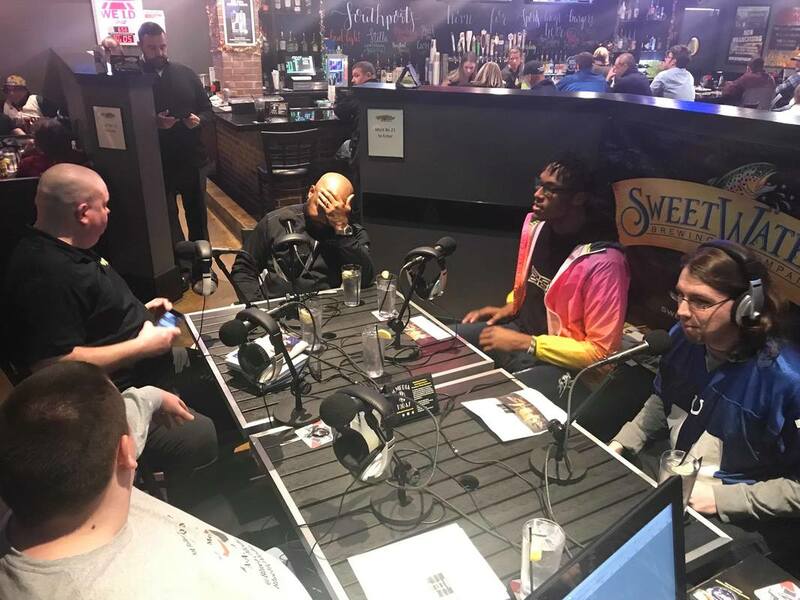 They discussed MMA, Boxing and of course the Pacers. 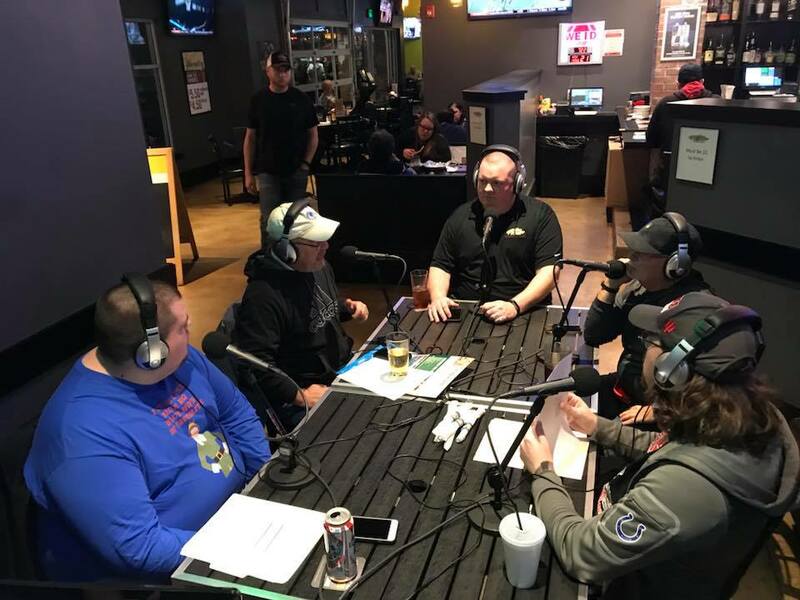 IUPUI Women's Soccer Coach joins Dalton Tinklenberg , Damon Lamont Thomas and Chris Lytle on the show this week. 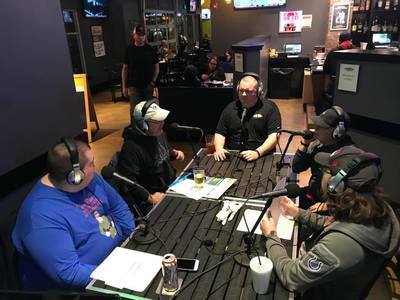 Derek Hutton and Damon Thomas were joined by Chris Lytle, Paul Pottle and Dawn Green on tonight's show. 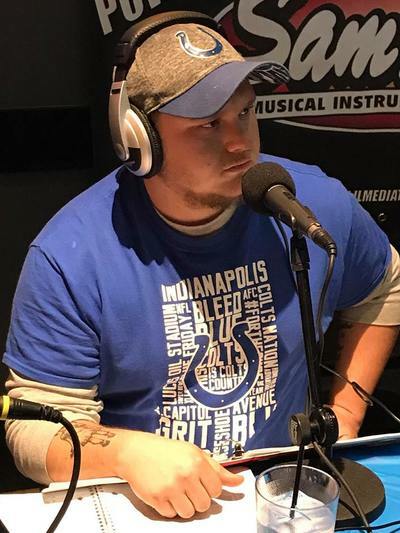 Joining Dalton and Damon this week is Chris, the track staff writer. 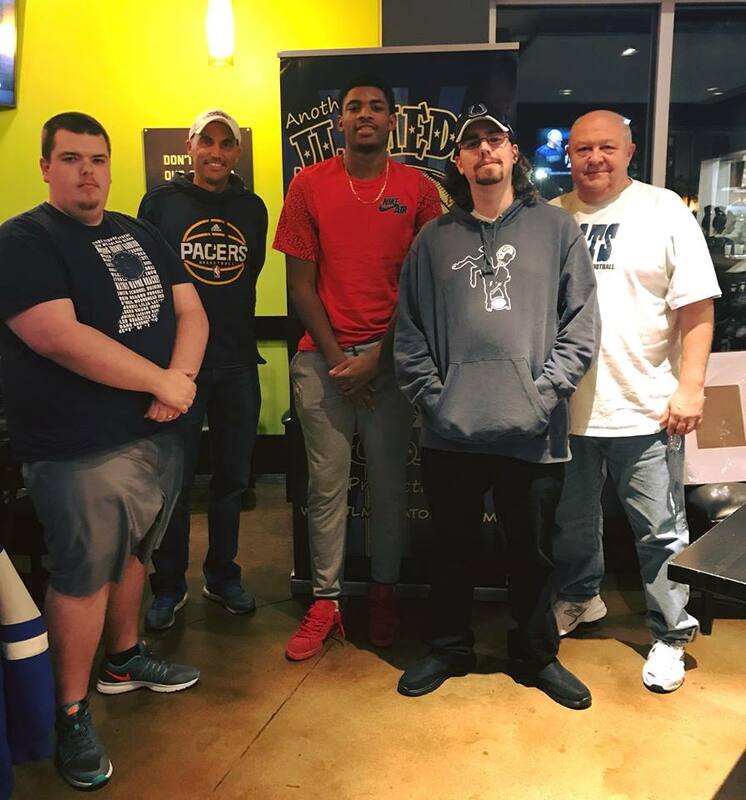 Together we interview Justin Grant and Tom Johnson. Grant is fresh off his Terre Haute win and Johnson is the Associate Promoter of Thursdays Hoosier 100. It's all about Caden in this episode. Just how did he get drafted...and what happened to the Coach? Join Dalton and Damon as we find out.